The original Rachel’s Kitchen opened at a 1,000-square-foot location in 2006 on Town Center Drive in Summerlin. The franchise, which turns 10 in September, has two locations in Henderson, six in Las Vegas, and about 150 employees. Rachel’s Kitchen founder Debbie Roxarzade, 44, was already a restaurateur before moving to Las Vegas, having opened up seven stores in Los Angeles and Beverly Hills. The franchise, which turns 10 in September, has two locations in Henderson, six in Las Vegas, and about 150 employees. 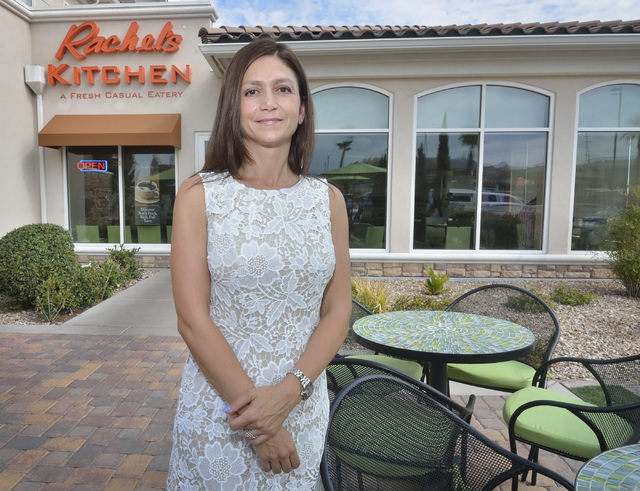 The original Rachel’s Kitchen, named after Roxarzade’s daughter, opened at a 1,000-square-foot location in 2006 on Town Center Drive in Summerlin. “This type of concept wasn’t out here yet. There were a lot of chain restaurants, a lot of fast food and a lot of fine dining but there wasn’t much in between,” said Roxarzade. Since 2008, Roxarzade has been franchising restaurants, but maintains ownership interests in two. Roxarzade and her husband moved to Las Vegas in the early 2000s, a period of explosive growth in Southern Nevada. Roxarzade grew up in Los Angeles and said she always had an interest in the restaurant industry and in business. And she always loved to cook. She describes Rachel’s Kitchen as a “fresh, casual eatery” that sells salads, sandwiches, fresh-squeezed juices and smoothies. While transitioning to life in Las Vegas, Roxarzade said she gradually sold her Los Angeles restaurants but brought along her “tried and true” recipes. In Las Vegas, Roxarzade expanded the menu with more breakfast items and made breakfast available all day. Some locations also added beer and wine, she said. Roxarzade credits part of her success to choosing the right partners. “A lot of companies out there and a lot of brands out there, will sell franchises to anybody and we’re very particular about who we partner up with because we just want to make sure that the brand is represented well and that we have a great working relationship,” she said. Roxarzade said there are plans for a couple more locations in the Las Vegas Valley and plans to expand out-of-state. Utah, Colorado, Texas, Oregon and California are being looked at as potential sites, she said. 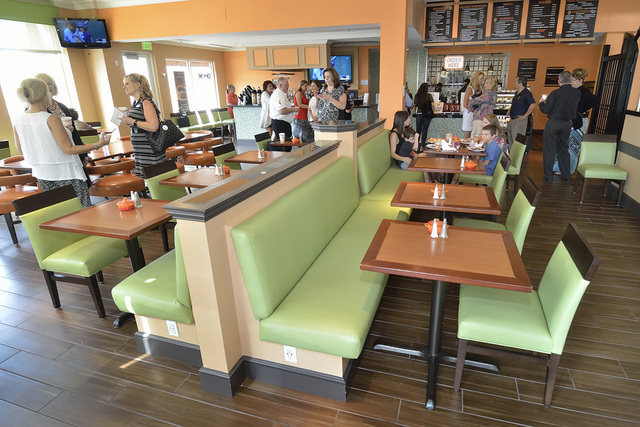 John Henderson, owner of the newest Rachel’s Kitchen franchise inside the Hilton Garden Inn on West Warm Springs Road in Henderson, worked for about 33 years as an IT consultant but had always wanted to own his own business. When Henderson’s friend, Kent Asaki, an early Rachel’s Kitchen franchisee, told him about the opportunity, Henderson tried the food and dove in. He now owns three Rachel’s Kitchen franchises and co-owns another. 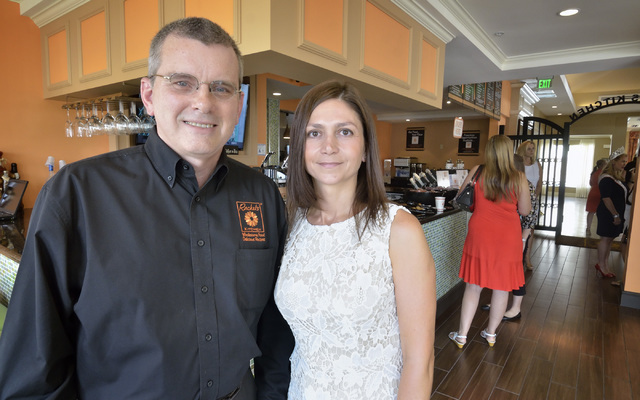 “I don’t think there’s anything like a Rachel’s Kitchen; our food is fresh, it’s wholesome, I think it’s well priced,” said Henderson. The Henderson location, which held a grand opening on Monday, seats 50 inside and 36 on the patio. The location also has 24 full-time employees. Scott Muelrath, president and CEO of the Henderson Chamber of Commerce said the company had been strategic about where it opened locations and hadn’t expanded at an unsustainable rate. “They’ve grown with our growing economy,’ said Muelrath. Adam Malan, director at Logic Commercial Real Estate, said early key moves paved the way for future success. “Rachel’s Kitchen came to the market and chose in my opinion, a great first location in Summerlin,” said Malan. Malan added that, over the last decade, the company expanded into “smart” real estate areas. Roxarzade’s advice for aspiring restaurateurs?